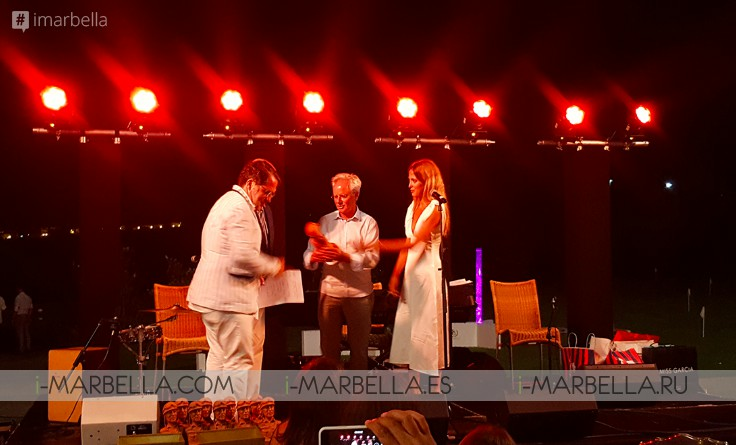 Autobello Marbella 2018 edition is once again back in Marbella. On Thursday, August 2nd, 2018, one of the most prestigious competitions of luxury cars took place at Villa Padierna Palace Hotel more specifically at the Golf Club which has been the perfect setting for more than a hundred of high-level cars and motorcycles that have competed to take the highest award. 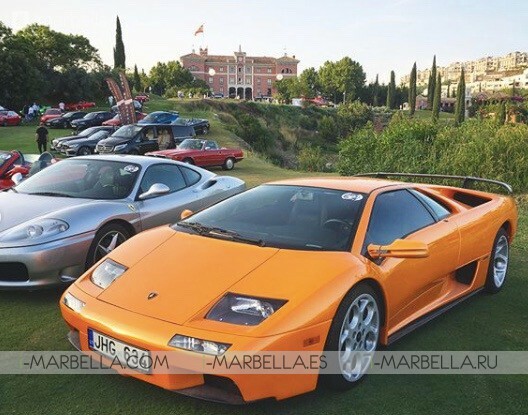 Autobello is ''The Event'' for car lovers, and on images, we will see why 'The Elegance Contest of cars and watches has once again conquered the capital of the Costa del Sol. 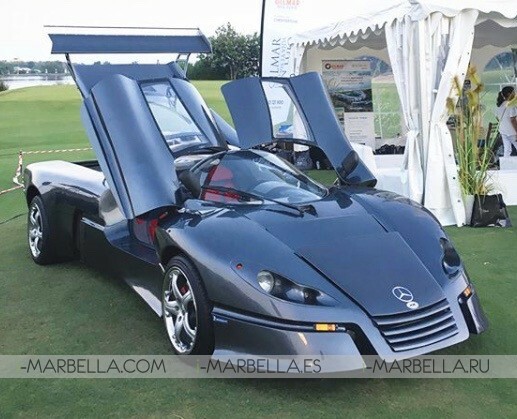 More than 120 vehicles of the highest standards around the world have gathered on last Thursday at Autobello Marbella 2018 a place to compete. The competition of cars has chosen Villa Padierna Palace Hotel as the hotspot and meeting point to shine together for an automotive event which is a reference for cars and watches lovers. The top award of the ceremony was the Gold Cup who is given in both categories: vehicles and watches. Members of the jury competition were composed of large collectors and important personalities in the automotive sector with extensive experience: Villa Padierna Hotels & Resorts president, Ricardo Arranz de Miguel; Autobello's competition president and Director of the CAR Magazine, Emilio Olivares; Hyundai Spain general director, Leopoldo Satrustegui; FIA Sportscars champion, John Bosch; president and 'Porsche Ibérica' CEO, Tomás Villén; MANGO president,Isak Andic and collector, Pablo Zu Hohenlohe-Langenburg. The competition started around 20.30h with a contest of elegant 'Watches' and the ‘Parade of Elegance’ which was the competition where the luxury cars and motorcycles showed up its incredible attributes. Cars from all time periods participated, starting from a fantastic Mercedes 300 SL "Gullwing" to the latest models of Aston Martin, Ferrari, Bentley or Lamborghini. It caused a sensation due to their motor sounds and thrilling designs the Lagonda V12 Le Mans of 1939, a car designed to compete in the 24 Hours that was presented by a Briton and awarded with a trophy Alfonso de Portago. As for modern sports, Eduardo Costabal, CEO of McLaren Barcelona, was awarded a Cup for a McLaren 570 Spider and for the entire range of the British brand. And the Cup reserved for the Character of the Year was of course for Horacio Pagani, who arrived at the event at the wheel of a Pagani Huayra. The Gala Dinner began around 22:00h when the member of juries decided to award the Hispano-Suiza J12 Gold Cup in 1936 with bodywork Fernández et Darrin, a model that has shone in such prestigious events as Villa d'Este. The sensational Ferrari 330 GTS of 1967 presented by Rosso Corsa also received a prize. 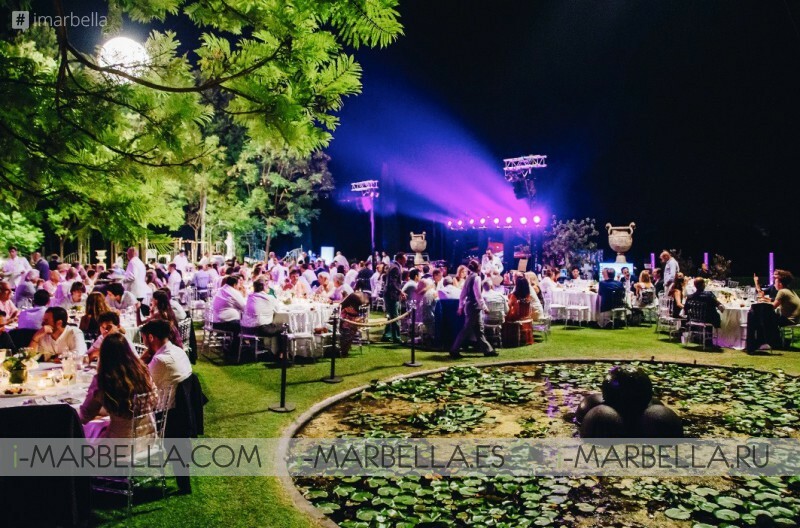 As expected from the last year, Padierna Hotels & Resorts Golf club switched for a few hours the clubs and ‘golf balls’ for Rolls-Royce, Ferrari, Porsche, Maserati or Lamborghini car brands, among other vehicles of incalculable value that delighted all the attendees. Autobello is one of the most prestigious competitions held in Europe. The main goal of this competition is to reward the elegance emanating from the 'movement', both from luxury vehicles (cars or motorcycles) and vintage or collector's watches. The great Horacio Pagani, a creator of the homonymous supercars, shone as Guest of Honor. 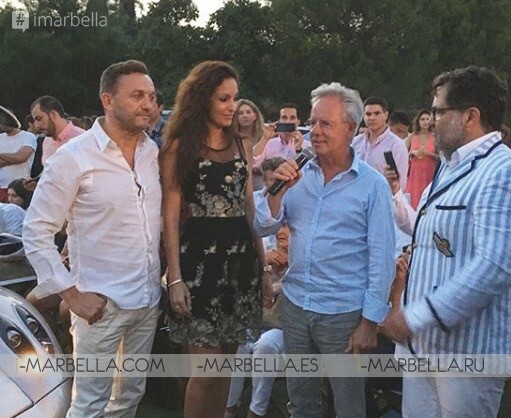 Argentine origin engineer, who lives and works in Modena (Italy), highlighted the virtues of Marbella and also remembered that he has several clients in the area. This year many of the participants concentrated before at Daytona Motor Passion Bar & Grill in Puerto Banús, to later begin with a parade by the port. Later on, they took the N-340 to reach the golf course of the Hotel Villa Padierna Palace, where the collection cars met for the competition. Autobello is much more than a classic elegance contest for car collectors. A special reception, Spanish wine, exhibitions, open bar, dinner, concert, and party until midnight. Autobello is a unique event, with a spontaneous program, but carefully studied, where companies present their latest products. In Autobello people show and act with their super-sports, stylish bikes, military vehicles, one-off and classic sports. All these attendees exhibit their best movements (cars and watches) before a white-gloved jury that judges and analyzes them. At the end of the night, different prizes are awarded, but only two will win the Autobello-SQM Gold Cup (for clock and car).